Newly built, June, 2007.The hotel is conveniently located to shopping and restaurants. Walking distance to convenient stores. Complimentary Airport shuttle available, 24 hours. 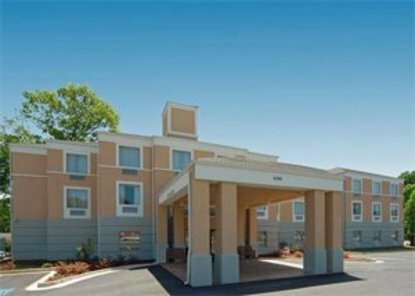 Courtesy phones available at airport, Minutes away from Atlanta Hartsfield International Airport, free high speed wireless Internet, micro/fridge in room, business center, meeting room, Morning Medley breakfast, 24 hour fitness center, seasonal outdoor pool, on site laundry facilities, premium TVs with HBO. Located in the heart of riverdale, a suburb south of Atlanta. Close to supermarket,across the street. Eight miles from Turner field-Atlanta Braves Stadium. Front Desk Hours: 24 hours. Pet Accommodation: 75.00/night per pet, up to 45 lbs. A maximum of 2 pets per room.